Our Journey. For His Glory. Today I want to take the time to honor Jeremy. August 2006 I fell in love with Jeremy Hefner who at the time I knew as "Hef". I remember running to tell my mom who he was & how excited I was for her to meet him. I remember my dad saying what a good boy he was & how he was the one baseball player I was allowed to "date". I remember being so nervous on our first date (so not my personality) & I got butterflys when his blue eyes would look into mine. I remember telling Coach Myers I was dating "Hef" & he got this smirk on his face then said, "Sarah Grace, there couldn't be a better guy." I was totally head over heels for "Hef"
Years went on with us dating, we got married, & continued to pursue Jeremy's career in baseball. We knew we wanted kids & always talked about having a family but we "planned" to have our first baby after a few years of marriage. God's plan was better. We found out we were pregnant July 2009. I will forever believe that God's plan is always better than ours. We wouldn't change a thing. Jeremy was the best husband throughout our pregnancy. He spoiled me beyond belief. I don't remember cleaning one dish, opening one door, or lacking in any of my cravings (some thanks to Drew Miller for the powdered donuts). I ate plenty of waffles... Hefner homemade waffles that is! Jeremy took such great care of me. Jace came into the world March 22, 2010 & Jeremy was officially known as Daddy. I remember looking at Jeremy the first time we met Jace & we both had big tears of joy in our eyes. Since that day I have enjoyed watching Jeremy with Jace. Jeremy even changed Jace's very first diaper all by himself! I was one proud Momma from day one! Let's just say Jace thinks his daddy rocks... literally. They even head bang in the truck together to Jesus Freak & all sorts of fun music. I love watching them together & I love the bond they share. 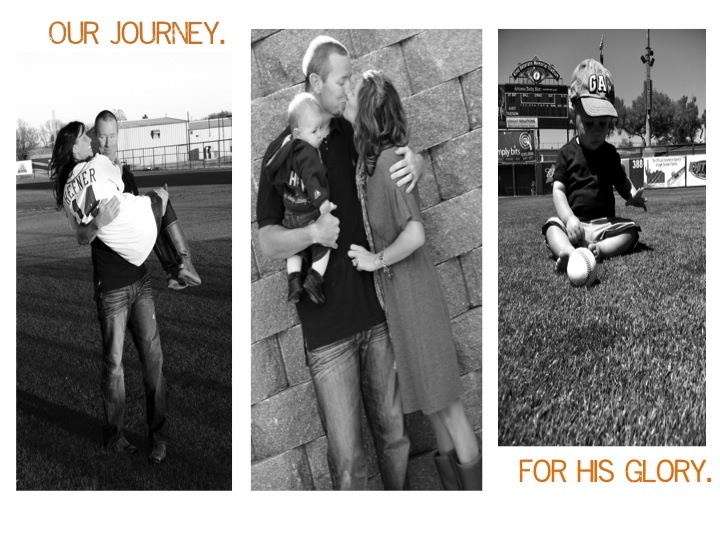 I love watching him read to Jace, wrestle, pray, play ball, & carry him around the ball park. I love watching him teach him new things like using a bat or a new dance move. I love watching Jace run into his Daddy's arms when he walks out of the clubhouse. That is priceless. (I think I tear up every time) Thanks for being such a great Daddy. Today Jeremy is in Colorado Springs for a road trip so we aren't able to celebrate with him until Tuesday, however, his parents were able to make the drive out there for his game. His Mom was able to surprise his Dad with a spur of the moment road trip to watch Jeremy pitch on Father's Day. 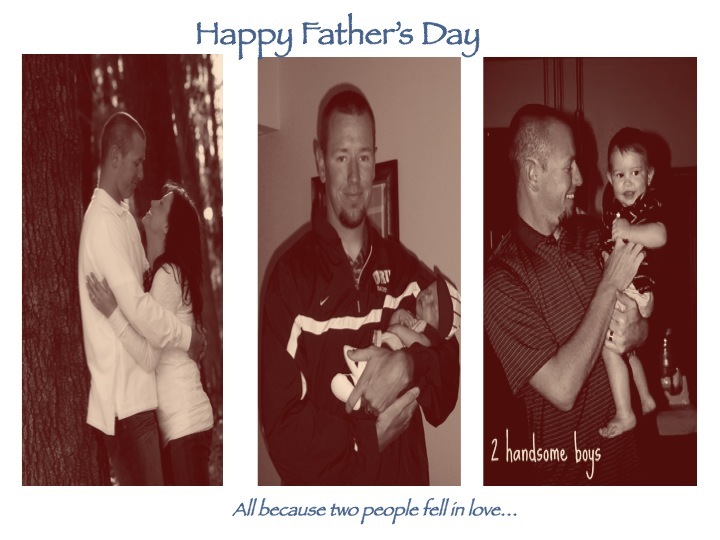 I know Jeremy will be so excited to see them & get the chance to hug his Dad on Father's Day! my husband: Jeremy, our Dad's, our Grandpa, our Uncles, our brothers: Scott, & Brandon! One thing I love to do & sometimes wish I was better at it is to write Thank You notes. I hope Jace learns the importance of saying thank you to the ones around him. I love to go pick a new design of thank you notes at Target (my favorite place ever) & then just sitting down & thinking of all the people who deserved to be thanked, getting out my pin, & simply sending them love in a card. So many times we rely completely on technology to say these two words & I hope I never get away from writing them in my own hand writing. It may be sloppy but I believe it is more personal that way :). Today as Jace continues to nap I can't help but realize I could sit here all day & think of people in our life who deserve a simple "thank you". It overwhelms me with love & true thankfulness in my heart for the people God has brought into our lives over the years. Hopefully someday I will be able to get a thank you card to each one of you... I will do my best. Until then, I want to say thank you to all of the people who have taught us, prayed for us, helped us in many ways, supported us, & have truly loved on us. Your sincerity never goes unnoticed. 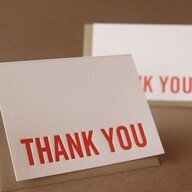 I want to encourage you to send someone a thank you note this week in YOUR handwriting :) Share the love! Road Trip: We meet again. 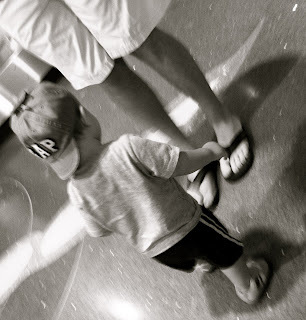 Sunday night Jace & I stayed home from the ball game & we packed Daddy's suitcase. Jeremy never expects me to do things like that but it's always nice to have it done so we can spend the time after the game together rather than packing & I enjoy being able to do it. So, instead of loading up for the game we decided to stay home, do laundry, & pack his bags. I knew being out here we would get attached to him being with us so much but I didn't realize I would really dislike the long road trips. If you know our family then you know none of us are good with goodbyes...Ever. No matter how long in between it is we go without seeing one another it's not fun. Don't get me wrong, I truly enjoy my time out here with Jace. We have a lot of fun just relaxing, snuggling, playing ball, etc. There is just something about having to tell your husband goodbye.... whether it be for a weekend, week, month, or for some... years. 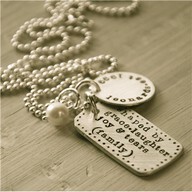 I can't imagine what kind of feelings army wives experience. I have the most respect for them & their families. They are such strong women. Thankfully, Jeremy comes home Monday night & we will be waiting for him at the airport with big smiles on our faces! We will get to celebrate Father's Day when he gets home! Until he comes home Jace & I will enjoy our quality time here in the Arizona heat. 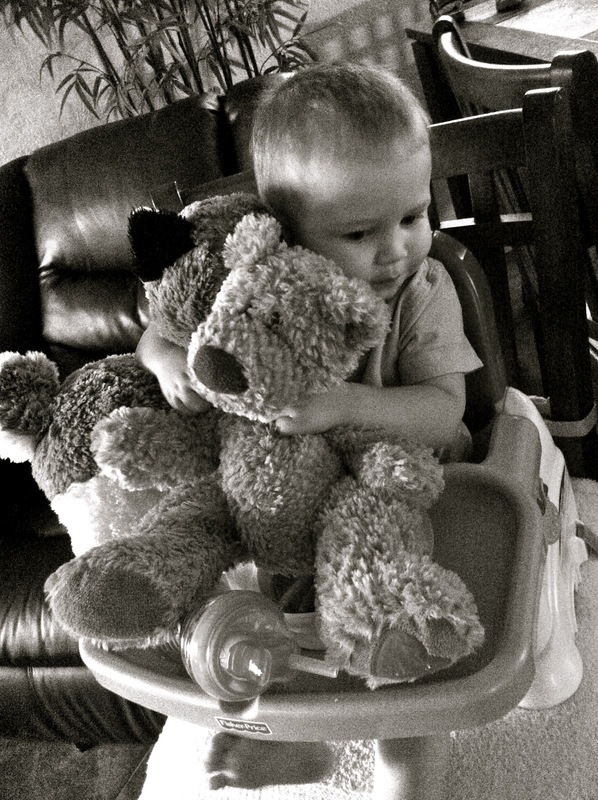 It's really hard to believe our son will be 15 months on the 22nd of June. Really? Does it really have to go this fast? 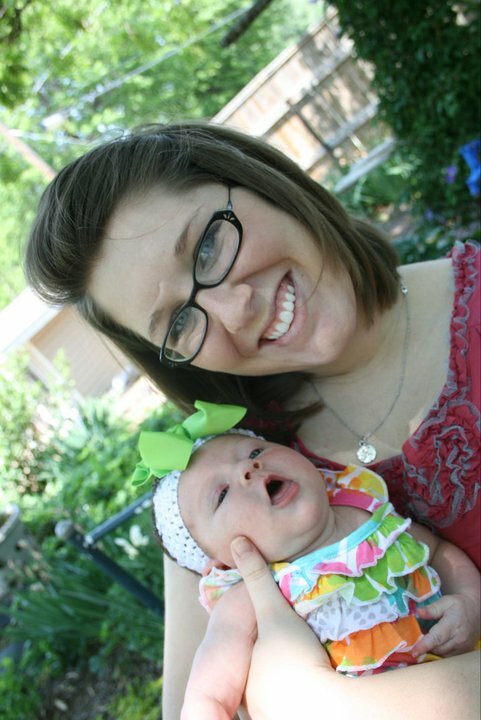 I am so thankful that the summer of 2009 we found out we were going to be parents. Wouldn't change a thing. Jace brings such joy to our life! 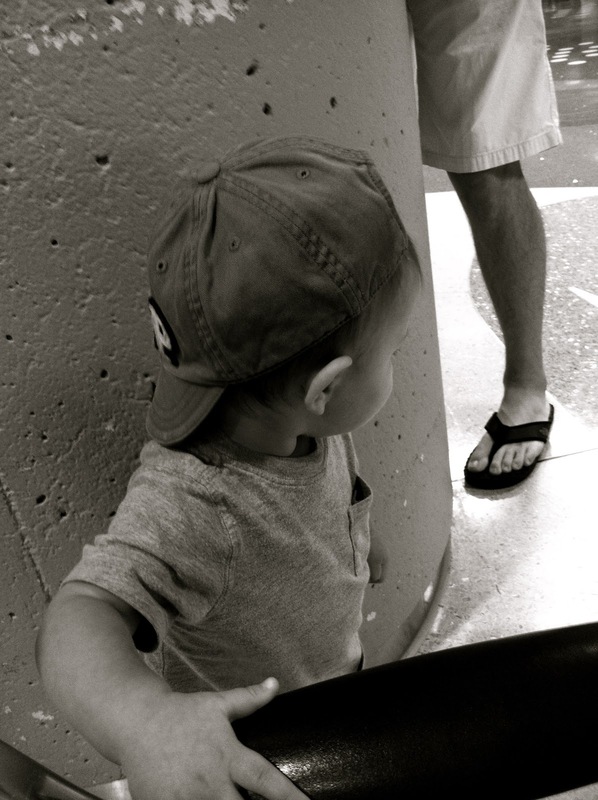 Jace loves playing with his Daddy. I am so glad we are out here in Arizona to spend this time with Jeremy. Everyday he is becoming more & more like his Dad. They are quite the pair! They played 'hide & seek' at the airport while waiting on Aunt Megan & Alivia to arrive. I was the photographer to capture the fun. Jace got his first 'man' haircut from his Daddy. Jeremy &Uncle Scott say this is a true boys haircut. It is really starting to grow on me & I think Jace likes it too. He loved having a sucker throughout the haircut & Dad did a great job! Ace & Bear: Jace's 2 best friends at the moment. As you can see he eats, sleeps, plays, & watches movies with these two. It's so funny & so sweet to watch him pull them around the house. They will be kept for many years I am sure. 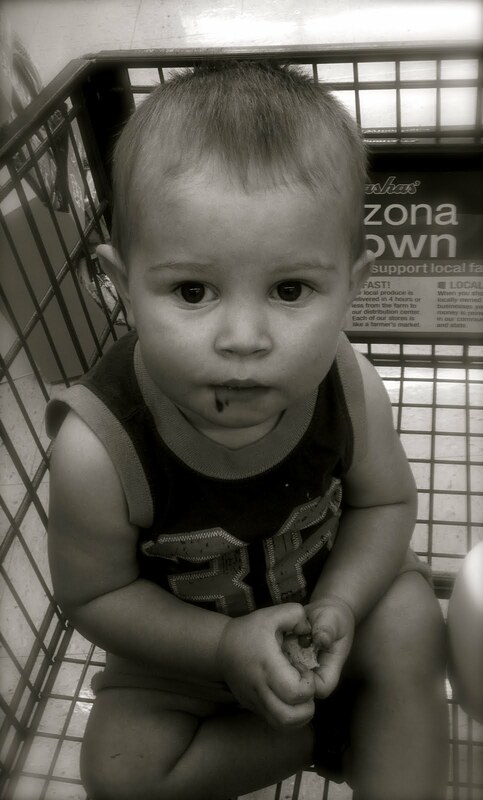 Jace loves going to the grocery store with Momma. He is usually a hit with all the women working at Basha's. He gets a cookie & balloon. His favorite treat! We usually make it home with chocolate fingerprints on all the packages but it's always fun for us to go! 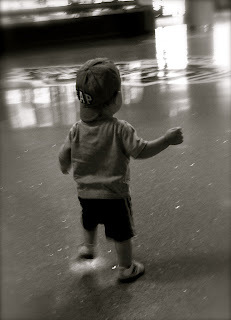 Jace is walking everywhere now... I mean everywhere. 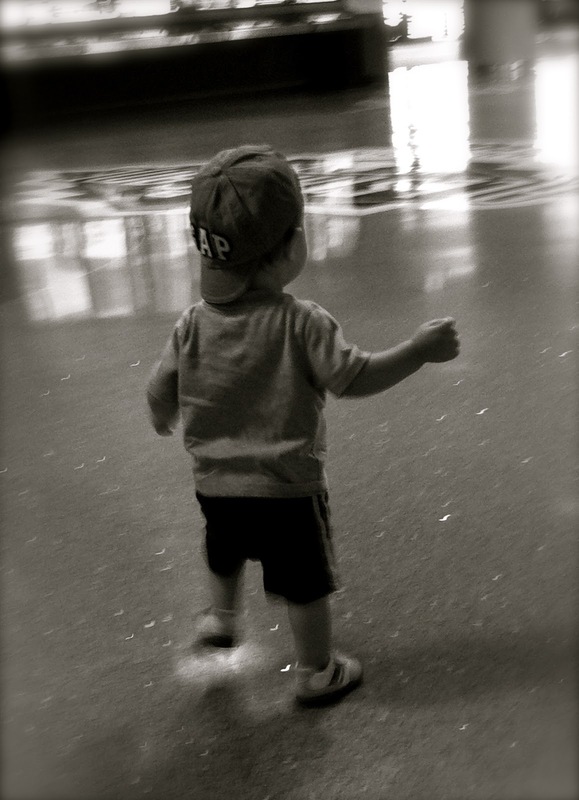 It's so fun to watch him run to his Daddy's arms after baseball games. I hope you enjoyed the updated pictures of Mr. Jace. Each day we are learning new things & saying new words. Document your little ones as they grow! I am hoping to keep up with all our kids someday so we can always remember each stage of their life! Today I just can't stop smiling inside & out. God has truly shown himself to me in our lives the past few weeks. I found this picture & thought it was a good representation of what love really means: grace, laughter, joy, & tears. 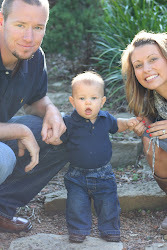 I am so thankful for my sweet little family & the joy it brings! Last night after the game Jeremy & I sat with Jace in his room for a really long time doing absolutely nothing but laughing & laughing so hard we had tears. I haven't laughed that hard in a long time. I couldn't help but fall asleep with a big smile on my face knowing how much love we have for each other. I can't help but mention that by no means is our family perfect. Everyday we fail, we need grace & trust me there are times of tears... of all sorts. I believe because of those times we love each other more & more each day. I can't help but hurt for the children who have never experienced love. They fail, long for attention, hurt, & everyday they feel rejected without knowing what loves feels like. I pray that through our tears we can learn to love more & to laugh more often. I pray that even though our family might not be perfect that each day we share love with the world around us & someday we can show other children what love really means: grace, laughter, joy, & tears. Let's make a difference one day at a time. Show someone today what love really means. We have enjoyed having such sweet company the past few days: Megan & Alivia. Looking forward to the rest of their visit! We love having family here with us! Thank you Brandon for sharing your sweet little family with us this week! We have missed you but glad they were able to come out here! Too much sleep? Not enough sleep? Jace relaxing early in the morning. 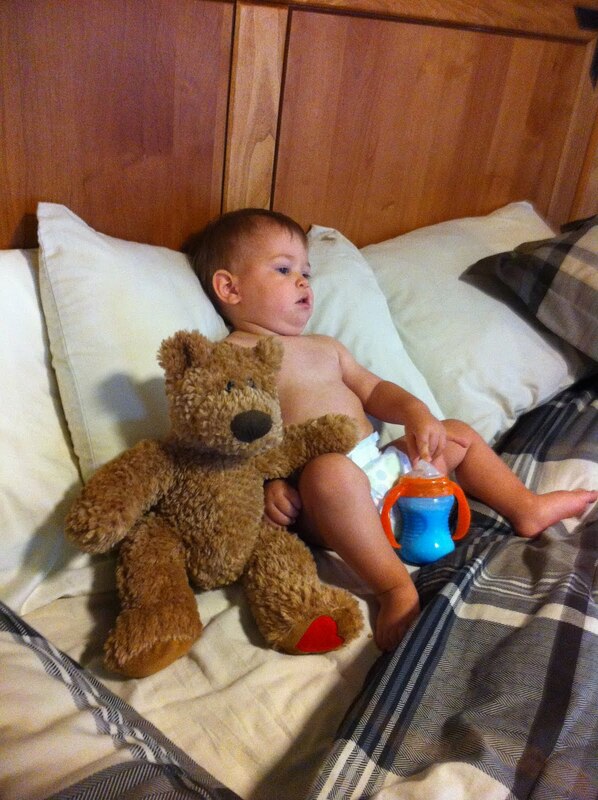 Go with your instincts this weekend & take a family nap! I'm sure it's well deserved! Stepping up to the plate: at home. I am a mom of many hats & love every minute of it! This blog is designed to inspire you in many different ways by sharing how I embrace life's simple yet special moments.